Smith Tower, image courtesy of Seattle Times. In 2018, we opened our fourth North American office in Seattle, WA. The close of 2018 marked one year in our new office/showroom in Seattle's historic Smith Tower. This iconic, 105 year old, 38-floor, white ornamented building is known throughout the country as one of the first skyscrapers—travel writers commenting it closely resembles New York’s Metropolitan Life Insurance Building. Postcard views from the tower include Elliott Bay and Puget Sound, sports stadiums, a major rail station, plus both the Cascade and Olympic Mountain ranges. 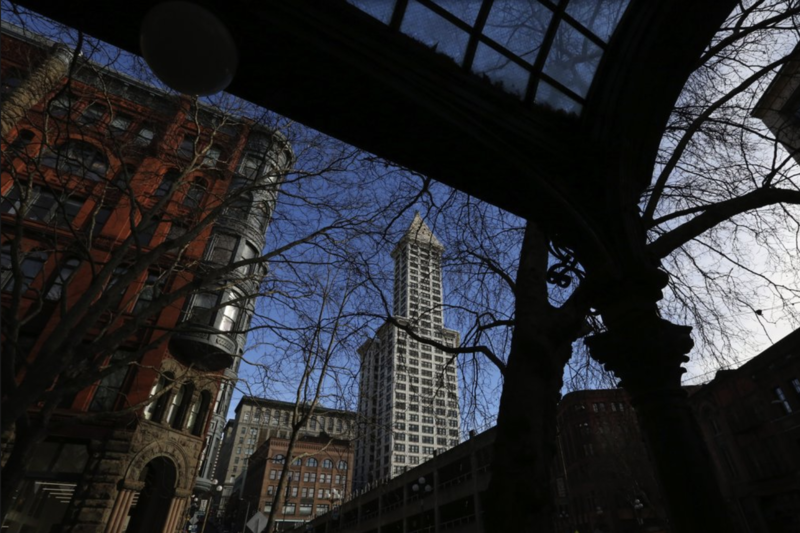 Smith Tower is crowned by a glass-domed, three-story pyramid which houses the building’s only private residence. Smith Tower lobby. Carved heads of Chief Seattle visible along trim above historic elevators. 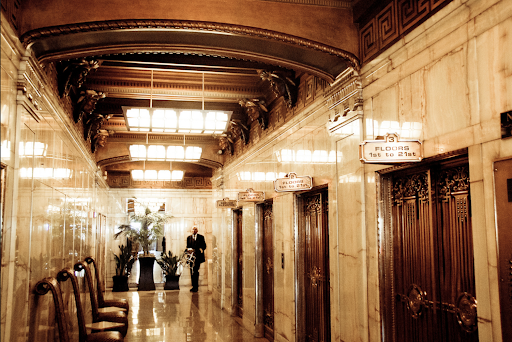 In selecting Smith Tower for our newest office space, our co-founder & CEO, Natalie Hartkopf recognized the unique, creative opportunity in mixing existing early 20th Century Art Deco design alongside Hightower’s modern, clean aesthetic. The lobby (daily filled with photo-snapping tourists) includes Alaskan marble floors, mosaic tiles, and Mexican onyx details. At the top of the walls, every few feet, are carved Indian heads, said to be Native American Chief Seattle, for which the city is named. On the 35th floor Observation Deck, the interior includes gifts from Cixi, the last Empress of China, including carved Blackwood furniture and a (marriage) Wishing Chair incorporating carvings of a phoenix and a dragon. 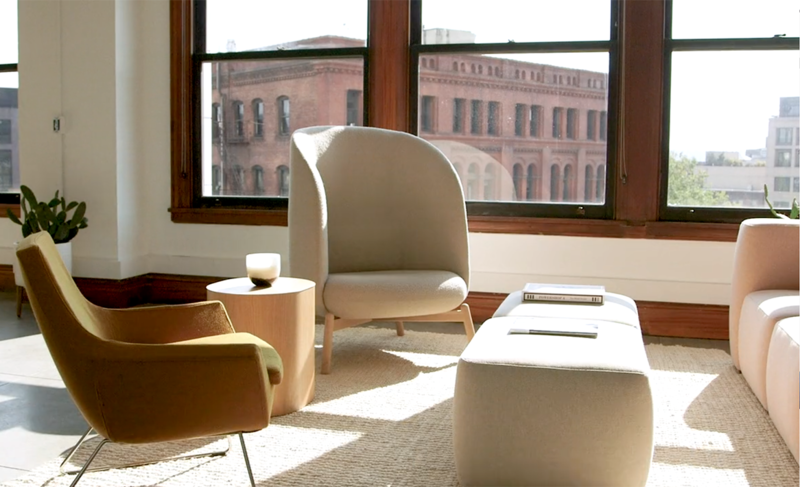 Hightower Seattle office & showroom. Left to right: our Happy chair, Nest Easy lounge, Kona sectional. All design available through Hightower. Hightower’s suite of offices is markedly modern compared to the building’s turn-of-the-century details. Our high ceilings, European lighting, more feminine color palette, and soft seating welcome design community guests from around the country. 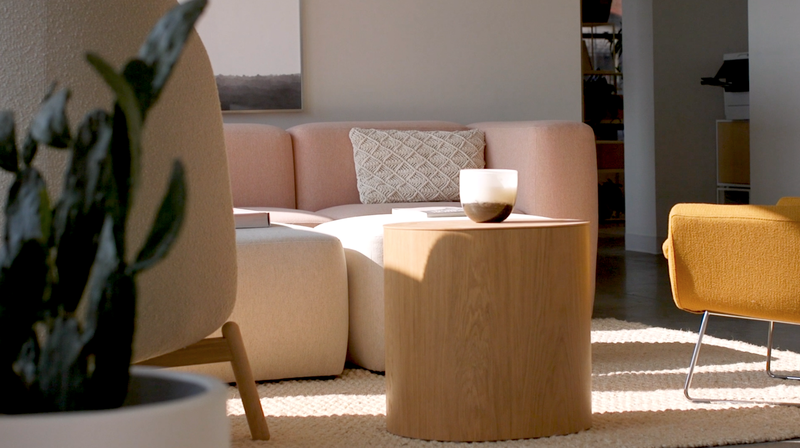 We love hosting visitors, and always look forward to sharing more about our furniture and our workspace philosophies here at our Seattle showroom. Hightower Seattle office & showroom in Smith Tower. 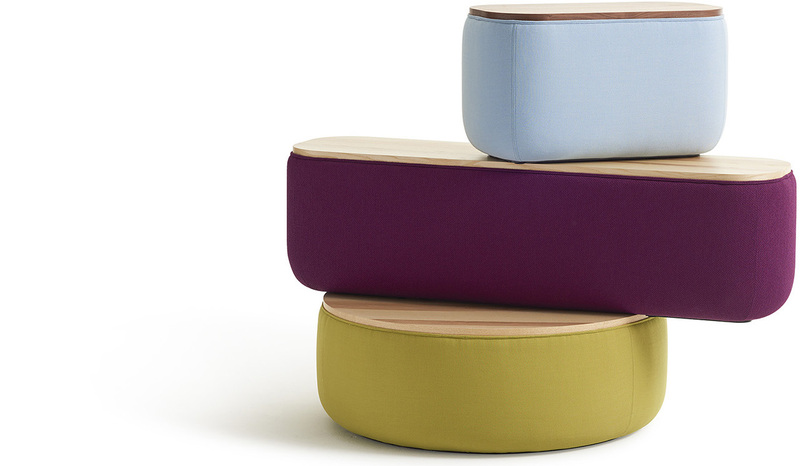 Shown here: Kona sectional sofa and Log table. All design available through Hightower. It is an exciting time for our design-centric team to be in Seattle, the city where Hightower was born in 2003, a city that inspired our unique vision to shake things up for our friends in A+D. Click here to learn more about our offices and teams across North America, Canada and Mexico.